It is unfortunate, but auto accidents are a common occurrence. Millions of Americans are injured in car accidents each year, and statistically, it is more likely that you will be involved in an auto accident during your lifetime. The majority of auto accidents are completely avoidable and result from driver negligence or recklessness. Auto accidents often result in personal injuries and significant financial losses, so it is important to hold reckless, negligent drivers accountable for the damages they cause. One form of reckless driving is failure to obey basic traffic laws. Running through a red light is a perfect example of this. 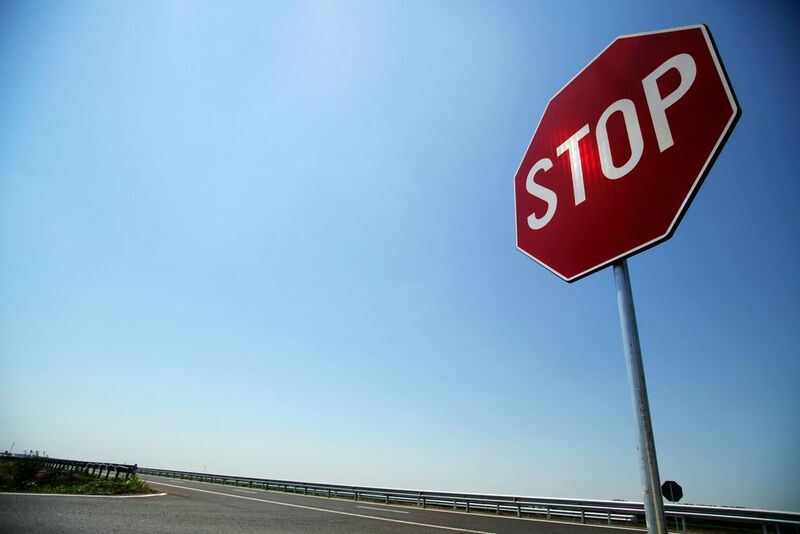 Auto accidents involving stop signs leave many of our White Plains, NY clients with injuries, pain, and medical bills. The experienced attorneys at Worby Vecchio Edelman, LLP are happy to provide legal representation to victims of auto accidents involving stop signs, and will fight to ensure our clients are adequately compensated for the full extent of their losses. Roads are often congested with heavy traffic, and it is important that the flow of traffic is controlled to minimize the risk of auto accidents. Unfortunately, while stop signs do provide order at busy intersections, they are only effective when drivers obey the traffic laws. Sadly, many drivers fail to stop when they reach an intersection with a stop sign. Whether due to recklessness or negligence, stop sign accidents are a pretty common occurrence. Statistics show that nearly 2.5 million auto accidents take place in intersections each year. This makes up roughly 40 percent of the total auto accidents annually. A great number of these intersection accidents are caused by a driver running through a stop sign, which means the risk of a stop sign accident is extremely high. The damages in stop sign accidents are often pretty severe. Often, if a person runs through a stop sign, the driver is speeding, and makes no attempt to stop the vehicle. However, even when these accidents take place at low speeds, the risk of injury is high. That is because most stop sign accidents involve turns, which means that the accident results in a side collision. Most cars do not have airbags on the sides of the vehicle, so there is very little to protect the driver from the impact on the accident. Common injuries from a stop sign accident include neck injuries, back injuries, brain injuries, and internal injuries. No matter how severe the injuries of a stop sign accident may be, it is important to contact an experienced attorney as soon as possible following the accident. An auto accident attorney will help to prove liability for the collision and will gather the evidence that is necessary to ensure you are justly compensated for the full extent of your damages, including losses such as medical expenses, lost wages, and pain and suffering. If you are the victim of a stop sign accident, contact the experienced attorneys at Worby Vecchio, Edelman, LLP at your earliest convenience to discuss the details of your case. Our team of auto accident attorneys will work tirelessly to ensure that your rights are protected and that you are compensated to the maximum extent of the law.